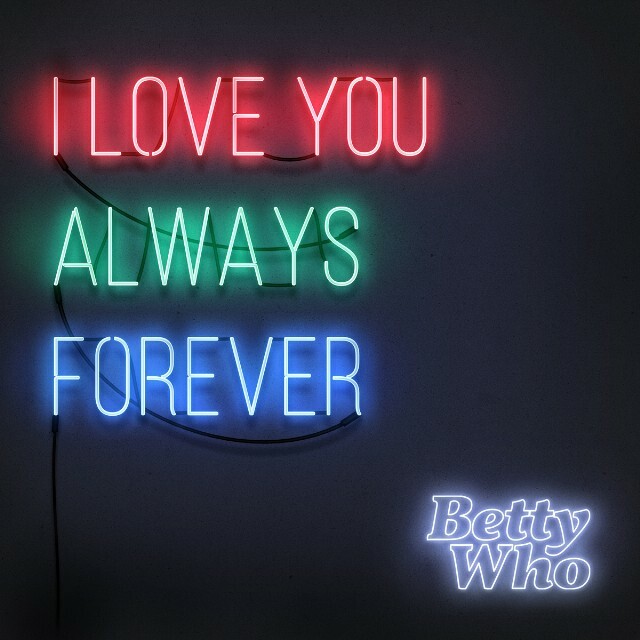 In October 2014, Australian pop star Betty Who released her impeccable debut album, Take Me When You Go, a sparkly-eyed collection of songs that SPIN dubbed its favorite pop album of that year. Since then, Who (born Jessica Anne Newham) has had a steady stream of performances to support the record, but the 24-year-old has also made time to hit the studio to work on her sophomore LP. Who says she recently rediscovered “Forever” and brought it to a label meeting with RCA six months ago. She asked an A&R rep if she could cover the song, and he told her he’d been looking for an artist to tackle that exact task for years. The singer quickly enlisted Thomas to produce the tune — “I just gave him the vocal and then the next time he sent it to me I was like, ‘Peter, this is really good’ and I think he was offended by how surprised I sounded,” she says with a laugh — and the cover now serves as a stopgap between albums, a way of reminding fans that she’s keeping busy in between full-lengths. Who tells SPIN she began work on the Take Me When You Go follow-up in mid-July 2015, but says that the project didn’t begin to seriously take shape until December. “Even when I walked away with stuff I wasn’t totally psyched on, I felt like it was brushing the cobwebs out of my creative self,” she says of her recording sessions. Now, she has a month or so left of writing for the record — she’s already laid down what she estimates to be 40 tracks at this point — and though Thomas is once again by her side, she’s also expanded her collaborative network. On an ASCAP writer’s camp trip to a castle in the south of France, Who connected with songwriter Fran Hall and Australian producer Mstr Rogers, whipping together several tunes on the retreat. She’s also clocked time with song-doctor duo Pop & Oak (Alessia Cara’s “Here,” Nicki Minaj’s “The Crying Game”), Simon Willcox (Nick Jonas’ “Jealous”), Toby Gad (John Legend’s “All of Me”), and lyricist du jour Justin Tranter. For now, stream “I Love You Always Forever” below.